The day after Labor Day…the unofficial start of the new year. The Tuesday after Labor Day has always been my New Year’s Day and I haven’t been in school since 1973. I left the beach in St. Maarten on Sunday, where I made my yearly goals, read a few good books, worked on my tan and played a lot of blackjack. I read Doctored, The Disillusionment of the American Physician by Sandeep Jauhar. It’s a good read, and I highly recommend it for all health care professionals who are concerned with the changing nature of health care delivery in America. I related. I feel it should be required reading for younger dentists who are facing the long career. It’s about the ups and downs of balancing a life in medicine between creating a good lifestyle and being a good doctor. Jauhar struggles with providing his patients with the best care while earning a good living during his early years when his responsibilities at home are demanding more time. I felt his pain…especially since the recession hit and third parties began to flex their muscles. In case you don’t know, I’m all about the private practice of dentistry...what they now refer to as fee-for-service dentistry. There was a time when we didn’t make that distinction. A time where you just went to work and focused on your dentistry without interferences. Today, in order to maintain and sustain a fee-for-service practice the dentist must have an approach…a philosophy if you will. Jauhar writes about taking control of the two things that you can…mastering your craft and controlling relationships. It’s funny, but that is essentially what this blog is about…controlling relationships as best as you can through trust, appreciation and ownership and providing excellent care through complete dentistry. The book was very helpful…especially when I got to the blackjack tables at night. Because life is a little like blackjack. Let me explain. Blackjack, like life is not very complicated. It has rules, and if you know them and don’t stray too far from the guidelines you’ll be a winner…in the long run (those are key words). The game is set up so the dealer or the house has a very slight advantage. That means that if you play, for arguments sake, one thousand hands, the dealer will win approximately 510 of them and you will lose 490. The dealer plays by the rules—she never waivers…no emotion. The dealer also gets relief every 40 minutes so they never get tired. They do deserve the slight edge because after all it’s their house…and they serve free drinks. That kind of control is available to the player as well. Play right (master the craft) and control the quantity of the individual bet. That’s all you need to know. You see out of those 490 wins that every player will get they don’t alternate between the player and the dealer. Many times there are streaks. Imagine that a streak started that lasted 10 hands…and the player kept increasing the best (called pressing the bet), well I can tell you that winning, and winning big is now in the player’s future. When that train slows down and the streak goes to the dealer…then revert to the minimum bet. Of course the player must play the game correctly. 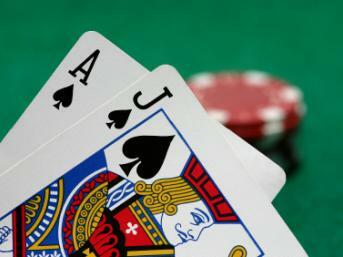 The vast majority of blackjack players lose…even those who play right…who know what the “book” says. Let’s take energy first. You have to be prepared to play blackjack…if you to be able to last. That means don’t show up to a $25 table with $100. No one can sustain a losing streak…you need excess energy (cash). Just like practice, you need to show up everyday with excess energy…mental, physical and emotional. That’s what all the self-improvement stuff is all about. That’s what makes sustaining a dental practice difficult. No one particular case, but the entire population of patients we see that visit us with difficult technical problems. It’s the emotional issues that wear down most dentists. Be prepared. Not everyday is going to be a holiday. And how about emotions? I can’t tell you haw many blackjack players get blown out because they don’t exercise discipline and consistency. Listen…here’s what the book says…player hits on 16 when the dealer has a 10 or picture showing. That situation occurs a lot…and yet I see most players get nervous (fear) when it comes up. Mostly, they stick…and sometimes they win…but mostly they lose. When asked, they say they hope the dealer is going to bust and they are afraid to bust. Huh? The dealer has a 10— the odds are they can’t beat the dealer with their weak 16…and by the way, hope is not a strategy. People live their lives the same way, with fear. Or they take unnecessary risks…like betting the house on one hand. They go for broke…even after playing a disciplined game…they go all in. Stay consistent, follow the rules, manage your energy and relationships…it’s they keys to blackjack, and most games…after all life is a game. Why Doctors Are Sick of Their Profession By Sandeep Jauhar M.D.